Looking for private online korean lessons? Our teachers are ready to get you started. Find your teacher today! The average cost of 60-minute online Korean lessons is $43. While the exact cost will vary depending on the teacher, type of lesson, and your location, you should expect to spend anywhere between $18 and $84 per hour. 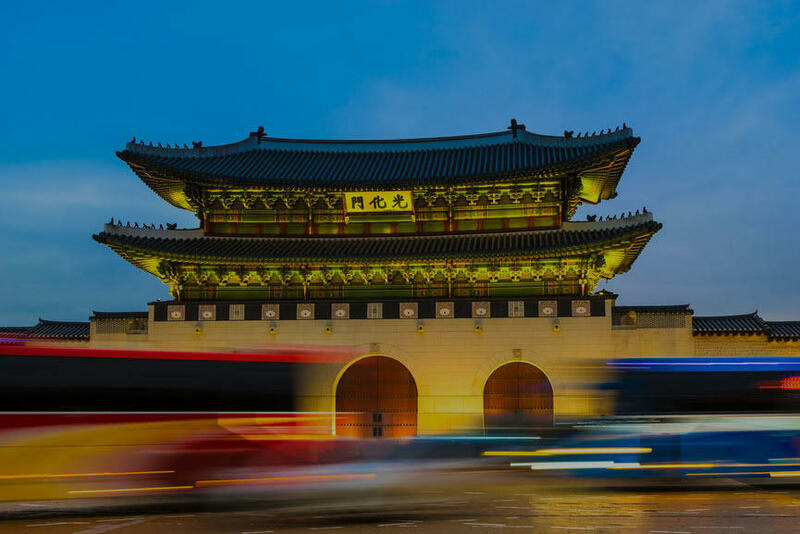 For the best experience, we typically recommend 60-minute online Korean lessons. However, students looking for a more affordable option may want to consider a shorter lesson length of 45 or 30 minutes. On average, 45-minute online Korean lessons are 26% less expensive at $32, and 30-minute lessons cost 42% less at $25. Curious how much online Korean lessons cost in your area? Do a quick search to get local prices for the best online Korean teachers . during and after classes. She makes learning the language enjoyable. Very happy that i chose Suyeong for this learning experience." the first time and was always very kind and patient about it. She is also very flexable even if she is on the move. 10/10 would recommend!" "She is a very good teacher! Patient and good at explaining things to my understanding." were written and hear how they were pronounced." "Great listener. Better teacher. I am so lucky, thank you." "Our first lesson was great! Very organized and patient. We're looking forward to our next lesson!" Here is a little about me, I'm from Korea, graduated in Japan, working in America. Also,I'm an outgoing person. I like cooking, painting and watching movies. I really would like to meet new students who interested in Asian culture and people who would like to share their life styles and hobbies. Hope to meet you soon! We can learn K-pops and K dramas(students can choose class materials if they want). For beginner and learners who will visit Korea soon we will learn Survival Korean. The teacher is very nice, friendly and approachable. It would be nice and helpful if the teacher would be able to give more opportunities for the student to speak and practice speaking Korean, rather than just teaching and explaining the lesson the whole time which the student can basically study on their own. I don’t take the lessons but my daughter seems to enjoy them. And teacher is very nice and energetic. Jiny has been a fantastic Korean teacher. Being a new Korean language learner, I could not have asked for a better teacher to introduce me to the Korean language. I have found Jiny to be extremely patient, knowledgeable, and effective in her approach to teaching. I will soon be moving to to South Korea, and Jiny has helped target important conversational skills that I have no doubt will be beneficial when I move to South Korea. In addition to the conversational skills, Jiny has been instrumental in my improved pronunciation, vocabulary, grammatical understanding of the Korean language. I highly recommend Jiny and wish to thank her for making learning the Korean language such a positive experience. Do you want to learn to speak Korean online? If yes, then you’ve come to the right place. Private Korean lessons and classes with a TakeLessons Certified™ teacher - whether in-home, studio, or online - accelerates your progress, increases enjoyment, and improves every beginner's chances of becoming an expert player. It's easy, it's affordable, and it works. Our Korean tutors work with students of all ages: kids, teenagers, adults, and even seniors. Your tutor covers all aspects of the Korean language, such as the alphabet, the vocabulary, the grammar, the cognates, the dialects, pronunciation, and more. They can offer you advanced writing, reading, and speaking techniques and tips, and help you develop good practice habits, in order to maximize your learning experience, and achieve your goals faster. Students taking online classes can learn at their own convenience, enjoy better rates, and choose from a wider selection of Korean teachers nationwide. If you've ever taken language classes over Skype, you'll enjoy using our interactive TakeLessons Classroom.